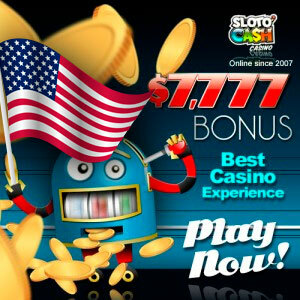 Slots with high stakes are slot machines that require relatively large sums for the game. High rates (and, consequently, high risk) are compensated, as a rule, by a higher percentage of winnings, as well as more interesting privileges compared to those given for playing in slots with low rates. In ordinary casinos, high-stakes slots are located in separate special halls. Before you start playing in the casino, you need to decide what size of the bet is worth doing. Below we will dwell on this issue in more detail. As a rule, the higher the rate, the higher the percentage of payments. This is beneficial from the point of view of the casino owner – the “cent” slot occupies as much space as the slot with a bet of $ 25, but the revenue from the slot with large bets will be higher. Accordingly, in order for the revenue to go from the cent slots, you need to reduce the percentage of payments to them. However, remember that increasing your bid only in pursuit of a higher winning percentage is unreasonable. You need to play at the rates on which you are most comfortable. If you have only 100 dollars with a wallpaper, and you bet 25 on the spin, you lose instantly, without getting any pleasure from the game. Most players in the machine make 600 bets per hour. Thus, to calculate how much you lose at these or other rates, it is simple enough. The maximum advantage of a casino is usually 25%, so in the worst case, you will lose 25% of each bet. Accordingly, multiplying 600 by $ 25 and by 25% – it turns out that with a bet on a spin of $ 25, you can lose $ 3,750 per hour. As a rule, however, the winning percentage will be higher, 90% or more – hence, in this scenario, the loss will be already $ 1500 per hour. Playing on cent slots, even with a win percentage of 75%, you will lose a lot less: 600 X $ 0.01 X 25% gives only one and a half dollars per hour. This game can be played for a very long time, but it will be incredibly boring. Thus, it is best to choose the size of the bet somewhere in the middle – not so big as to lose the mad thousands, but not so low as to sit and miss. Some American gambling experts say that risk follows the sum, the loss of which at one point would make you nervous. Having decided with the size of the bets, you should also think about the time that you devote to the game. Let’s say you are going to play for 8 hours on the weekend – 4 hours on Saturday and 4 on Sunday. All this, of course, approximately – not the fact that you will lose all your capital – it is quite likely that you will manage it and multiply it! In most online casino rates are lower than in real ones, however there is one trick here – sometimes you can ask the helpdesk to raise the maximum bet size if you really want to. You can do this or not – it depends on the casino itself and on what software it uses, but if you like high rates, you can still ask – you will not get money for the demand. 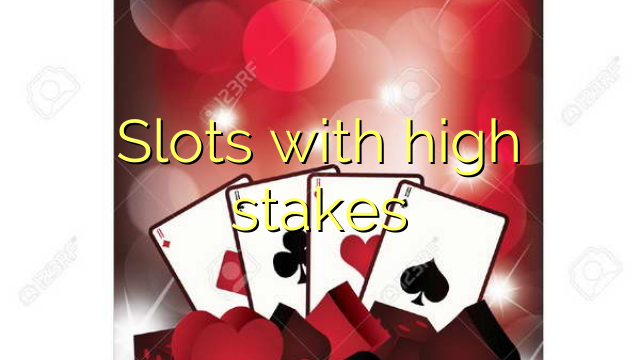 However, without these tricks you can find enough slots with high stakes. Do not forget that in most video slots there are a lot more lines than one, and, accordingly, in a slot with high stakes, if there are, for example, 9 lines, the bet on spin will be $ 45 – quite good. In this case, unlike regular casinos, online slots have a higher winning percentage, since online casinos carry much less costs. Plus, one can not but note this advantage of online casinos for fans of the game in a big way, like confidentiality. 1 How to choose a bid level Before you start playing in the casino, you need to decide what size of the bet is worth doing. Below we will dwell on this issue in more detail.